This was new history in the making. 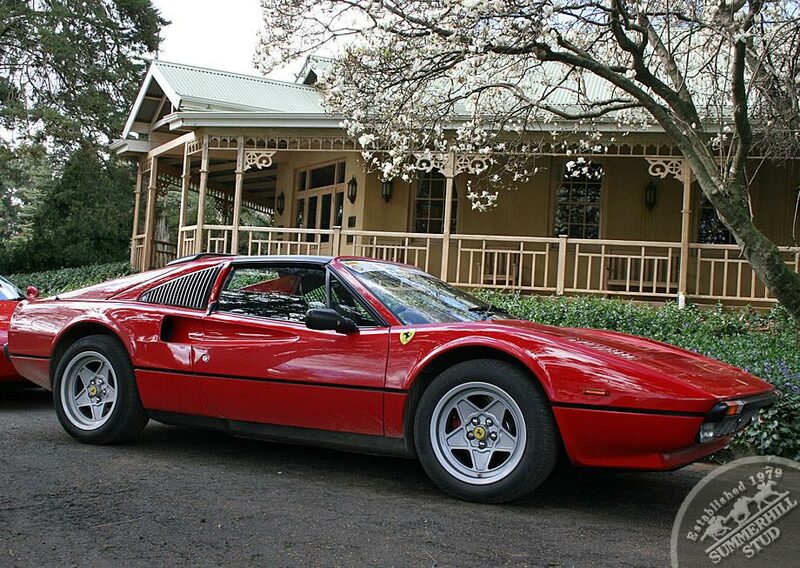 Not only for Ferraris' trademark "red", but especially for the quality of the "fillies" these aging fellows had in tow!" I was down at the Final Call stable block on a "refreshingly cool" Saturday morning, when I heard the unmistakable growl that precedes the start of a Formula One Grand Prix. Potholes generally preclude racing cars from inhabiting our neck of the woods, so I immediately thought it had to be a Nampo (as in "national maize producers organisation") harvest day, with all the big machines that such a procession involves. There's a stone-clad arch that frames the entrance to the yard, and as I glanced through it, the old wrought iron gates that announce your arrival at Summerhill, were being gently thrust aside to accommodate the "Red Army". Greg Petzer, the man behind Astrapak's sponsorship of the old Republic Day Handicap in 2002, was in the lead Ferrari, and there was nothing behind him worth less than a million, with some of them commanding sums in the vicinity of "five". The difference, as we pointed out to these "magnificent men in their flying machines", is that a stallion of that value can return you several million Rands a year tax-free, while the dividend on their side is that guttural "bark" and the adrenalin rush that turns big men into little boys. One day perhaps, we might be able to trade the badge on their Ferraris for a proper horse on his hindlegs, but we're a subtle bunch here, as you know, and we desisted from any direct hints. We've witnessed the launch of new models of Range Rover, BMW, Mercedes Benz and Bugatti motorbikes here at Hartford, we've seen streams of "Harleys", vintage cars and horse buggies across these storied paddocks, but this was new history in the making. 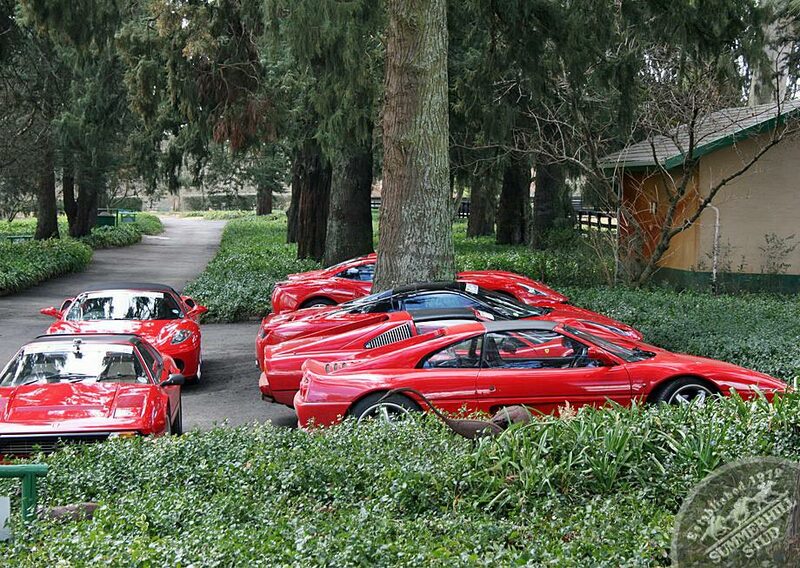 Not only for Ferraris' trademark "red", but especially for the quality of the "fillies" these aging fellows had in tow! There's an old saying from Richard The Lionheart's days about what "the outside of a horse does for the inside of a man", but there's something about the outside of a Ferrari that a woman just cannot resist!